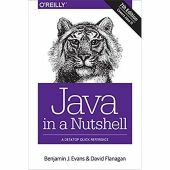 This week, we're delighted to have Ben Evans & David Flanagan helping to answer questions about the new book Java in a Nutshell. We'll be selecting four random posters in this forum to win a free copy of the book provided by the publisher, O'Reilly. 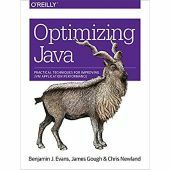 Wow, "Java in a Nutshell" is still around! When I saw the announcement for the promo I immediately grabbed my trusty copy out of the drawer. Mine doesn't have a tiger on the cover though; it has 5 referees doing various hand signals. At the top it says: "Covers Java 1.0". From 1996 - I guess things have changed enough in Java that I should probably upgrade my book. Kevin Ryan wrote: . . . things have changed enough . . . that I should probably upgrade my book. Oops. That came out kinda big. Sorry. 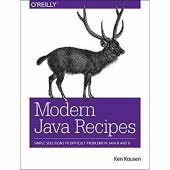 Kevin Ryan wrote: Wow, "Java in a Nutshell" is still around! When I saw the announcement for the promo I immediately grabbed my trusty copy out of the drawer. Wow, I don't think I've ever seen one that old before! That's cool. 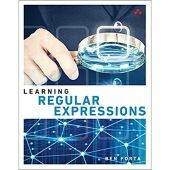 R.J. Arzki wrote: It's good to see the book keeping up with the language changes. I hope we got it right - please let me know your comments on this thread. A gentle reminder. This thread is for welcoming author(s) only. It isn't suitable for asking questions, at least for couple of reasons:  such question does not qualify for a potential book win;  thread's title has nothing to do with your question content, so it is misleading. If there is a need to discuss about the book as such and even get some reviews for it, I'd recommend also to create a separate thread as opposed to reviewing it here. Liutauras Vilda wrote: A gentle reminder. This thread is for welcoming author(s) only. It isn't suitable for asking questions, at least for couple of reasons:  such question does not qualify for a potential book win;  thread's title has nothing to do with your question content, so it is misleading. Haha, so on that Note Welcome Ben and David! 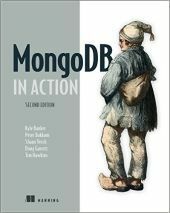 KP: please post a question about he book elsewhere on this forum; then you wil stand a chance of winning it. Woww, thank you Ben Evans & David Flanagan and everyone at Coderanch, I just want to say a huge thank you, my copy of Java in a Nutshell has just arrived and I'm thrilled to bits.. I know what I'm going to be doing for the rest of the day now!